Attention all nonprofit marketers: a mobile strategy isn’t a bonus anymore, it’s a requirement. With 66% of emails now being read on a mobile device, it is likelier that supporters will read and respond to your appeals on their smartphone or tablet than on a desktop. This trend begs the question: Are you reaching donors who are on their mobile device? If not, at which point are you losing them? Here, we cover the life of a donation through the mobile experience. From the email open to the checkout page, we’ve dissected what’s happening at each stage of the journey – as well as provided tips on how you can keep your smartphone-using supporter moving down the donation conveyor belt. You’ve launched your email campaign, and your message has landed in supporters’ inboxes. It is one of the (average) 416 promotional emails they will receive this month, so supporters are quick to judge whether your message is worth keeping or tossing out with the junk mail. Many people will base their decision to open your email on its subject line. As the first thing readers see, your subject line has to convince them that your email is worth opening. If it doesn’t succeed, supporters may never lay eyes on your email or its calls to actions. What you can do: Your subject line should be short, sweet, and interest readers enough to open your message. 1. Limit subject lines to 50 characters. 2. Consider how your subject line will appear on different devices or mail apps. For example, the Apple iPhone, the most popular email client, cuts off subject lines at approximately 35 characters. 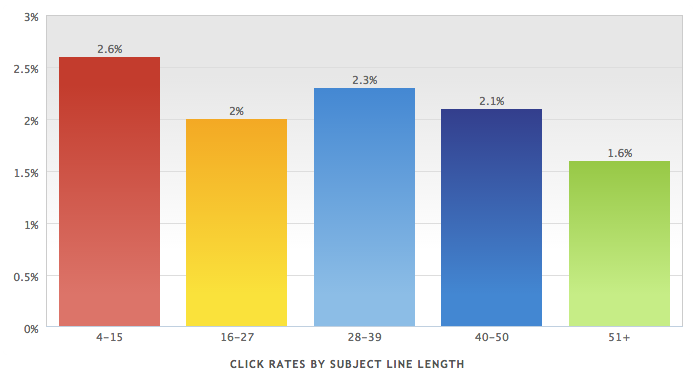 According to one MailerMailer study, subject lines of 4-15 characters had the highest open rate. The main point is clear: aim for short, direct subject lines that give people a reason to read your message. Tip: MailChimp also found that certain words can decrease your open rates. For example, try avoiding words like “help” and “reminder” in your subject line. Supporters have opened your email on their smartphone or tablets, and it has loaded in these first few seconds. Within seconds your supporters are already deciding whether it’s even worth reading. 80% of people will delete an email that doesn’t look good on their mobile device, while 30% will unsubscribe from the list altogether. What you can do: To improve your chances of getting readers to your donation page, make sure your emails are properly and beautiful formatted for small screens. Make sure you’re delivering emails that are responsive. Responsive emails are built to look good on any device. A lot of email marketing services, like MailChimp, offer responsive templates or, at least, allow you to import them. Your donors are on the go, and most smartphone users won’t spend more than a few moments reading your message. The majority of both iPhone and Android users spend fewer than 15 seconds on an email. If supporters don’t read through your email, then they’ll never even get to your call-to-action. 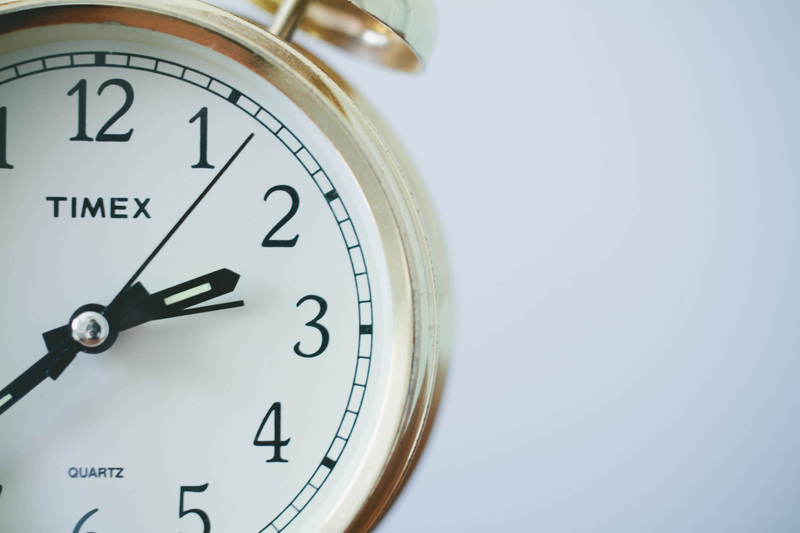 What you can do: Again, you only have seconds to spare, so you have to capture your reader’s attention quickly. Make sure your message is direct, compelling, and approachable. Remember this is an appeal, not a novel, so keep your copy concise for easy scrolling and readability on a mobile device. Speaking of readability, users won’t be happy if they have to squint at small, illegible text. MailChimp recommends using 16 px as a minimum font size for body copy, and 22 px for headlines. If your reader arrived at Stage 4, congratulations, you’re doing a great job! Your reader has opened and scrolled through your email. They’re so close to your CTA. This is a critical moment: does your reader decide to click through to your donation page or not? Shockingly, only 8% of people will click-through the first time they open your email on a mobile device. So why is this open-to-click rate so low? Well, data suggests that screen size – or, perhaps, the delivery of content as effected by screen size – might impact how people choose to click. According to Campaign Monitor, the percentage of clicks relative to opens is lowest on mobile (11%), compared to other larger-screen environments like desktop (14%) or webmail (19%). What you can do: Create and deliver your content with your mobile reader in mind. As you compete with hundreds of other emails for mobile readers’ attention, it has never been more important to offer high-quality, engaging content for people on their mobile devices. Not only should you use responsive design so your emails adapt to any screen size or device, but your copy should be to the point, easy to digest, and short enough to scroll through within seconds. Tip: Make your CTA a high-contrast, standout button that displays clearly on any screen size, and eliminates any doubt on what to do next. Your CTA should be touch-friendly, even for the biggest of thumbs. Apple recommends making your CTA at least 44 x 44 pixels, and you can make it even larger to make it extra clear where to hit. Avoid bunching your main call-to-action with any other links; you don’t want your reader getting frustrated when they try to tap one link and hit another. Congratulations! You’re really a winner! 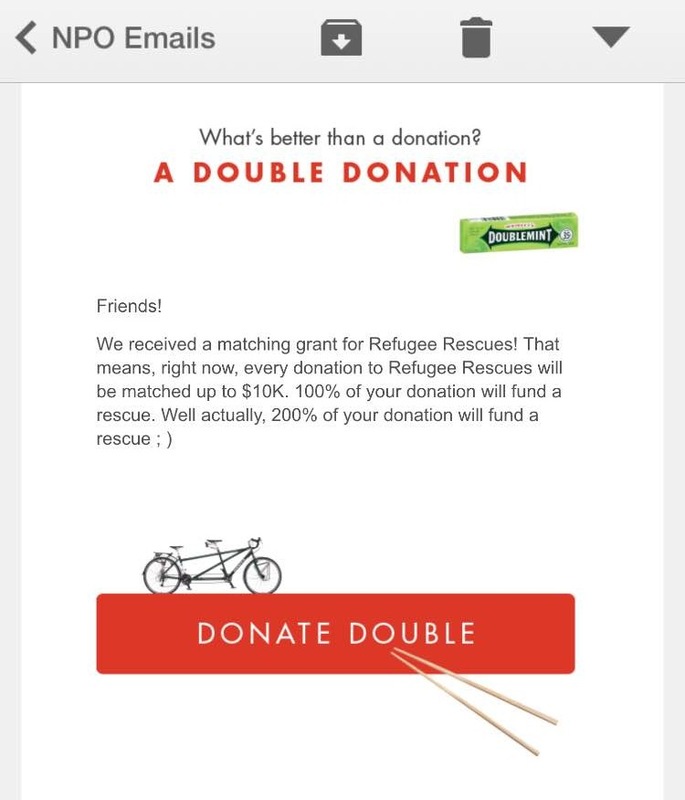 Your donor has decided to click through your email to potentially make a gift. It took a lot of prep-work to get your user to this stage, but don’t sit back and relax just yet. The fate of your mobile donation rests in this moment, so your checkout page game needs to be strong. Your user is expecting your page to load quickly (within 3 seconds, to be exact) and be easy-to-use on their mobile device. Shockingly though, a recent study by Dunham+Company and Next After found that 84% of nonprofit landing pages are not optimized for mobile. If it’s difficult for your supporters to navigate your page on their phone, they will abandon it altogether. 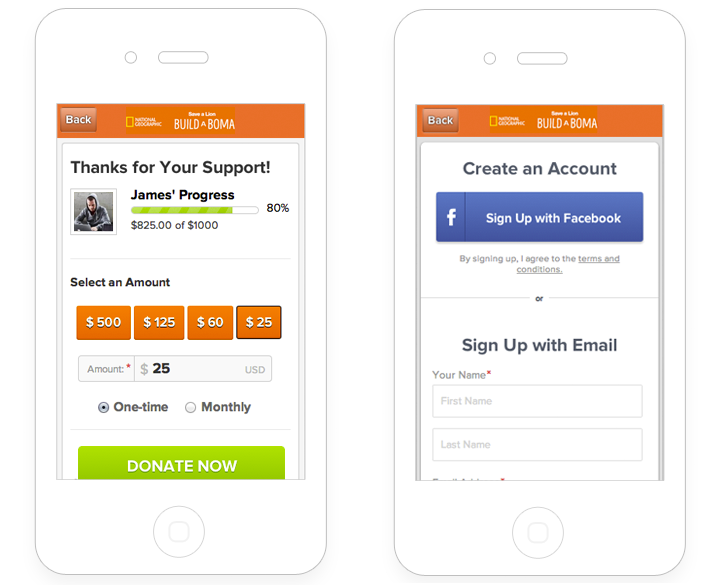 What you can do: Your donation checkout page is part of supporters’ overall mobile experience. Make sure your fundraising software enables your checkout page to display properly and easy to read on any smartphone or tablet. For example, Classy’s responsive donation pages are beautiful and functional across devices. 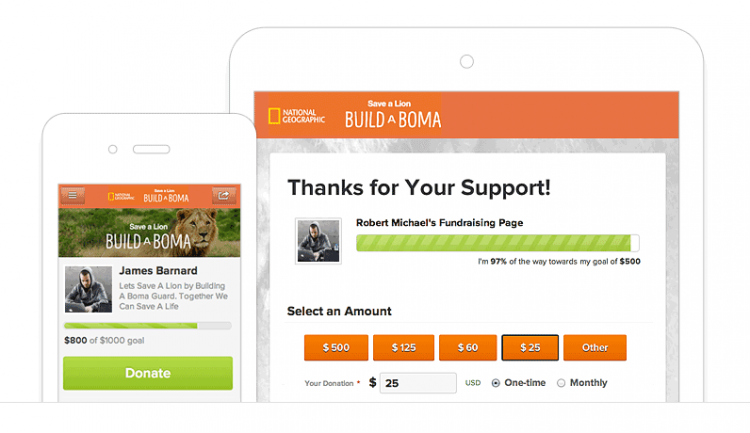 Below are examples of a Classy donation checkout page and fundraiser sign-up form. Either conversion process should have as few steps as possible to complete. Clean design and easy-to-use checkout pages keep readers engaged, while preventing any confusion on what to do next. Having a mobile-ready donation checkout option is awesome not just for a great donation experience, because also because it allows supporters to make a gift, wherever they are. They no longer need a checkbook or desktop to donate. Whether your supporters are at the mall, on their lunch break, or at your offline fundraising event, you can allow them to pull up an easy-to-use donation page on a smartphone or tablet, take out their credit card and make a gift on the spot. While you can’t control what device people use to open your email or make a gift, there are still steps you can take to nurture a donation on mobile. With many supporters now accessing your site through their smartphones and tablets, there has never been a more critical time to optimize your email appeals, checkout pages, and website for the mobile experience. Put in the time and effort to do so, and you can increase your chances of capturing mobile donations anywhere!